Stomp on over to Summitt’s library for a “Yabba-dabba-doo” good time!The Summitt Spring Book Fair is coming up April 1 through 5. 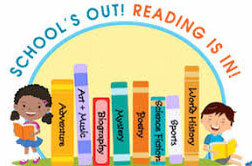 We need a few volunteers to help with setup (this Friday, March 29), work the book fair, and pack up afterwards, as well as provide snacks for the teachers to chomp on while they check out the merchandise during the teacher preview. 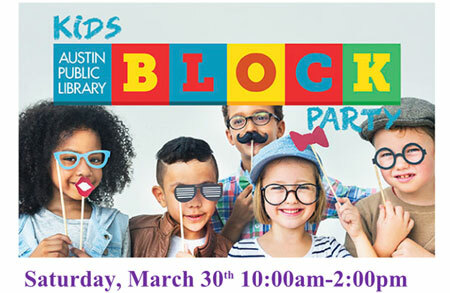 Sign up now to volunteer and make this book fair a Dino-Mite success.Contact Denise Richey (denise.richey@austinisd.org) with any questions. A vote will be taken to approve these nominations during the meeting. All members are invited to attend and vote. Nominations will also be taken from the floor at that time if there is any other interested party. In addition, we’ll have an update on the latest regarding school finance bills in the Texas State Legislature. Ordering available until April 1. 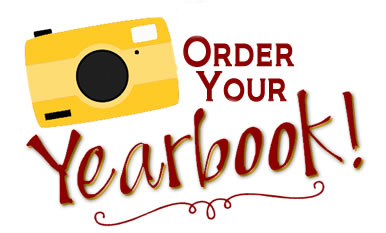 Full Color Yearbooks are $25. To order visit: https://inter-state.com/YearbookEntry/32612r. You might need this code 32612R. Or return the envelope in your child’s folder with cash or check payable to Summitt Elementary School. Pre K and Kinder Orientation is Coming to Summitt Elementary! This is a registration event for all Pre K and Kinder students for the 2019-2020 school year. This event is formerly known as “Kinder Round Up” where needed paperwork is gathered to complete your child’s paperwork (see details below). Please note there will not be tours or activities at this event. We are excited to welcome our newest Summitt Eagles to the nest! Time: 9:00 am – This is a “come and go” event! Save the date for our 11th Annual CATCH Family Fun Night on Thursday, April 4th from 5:30-7:00 pm at Summitt Elementary. CATCH stands for a Coordinated Approach to Children’s Health! Along with the Book Fair and Fine Arts events, we plan to host a variety of activities, information booths and contests for our families to enjoy! The event is absolutely FREE and we will also have drawings for amazing prizes donated by local businesses. Thank you to Anh Cao and Andrea Pearson for hosting a mindfulness area in our great hallway! A big thanks to Rita Cooper for organizing an active station with the Anderson HS soccer team outside! We will also have a DrumFIT area in the cafeteria, a Parent PACER challenge in the gym, an obstacle course outdoors and many wellness vendor booths in the great hallway. 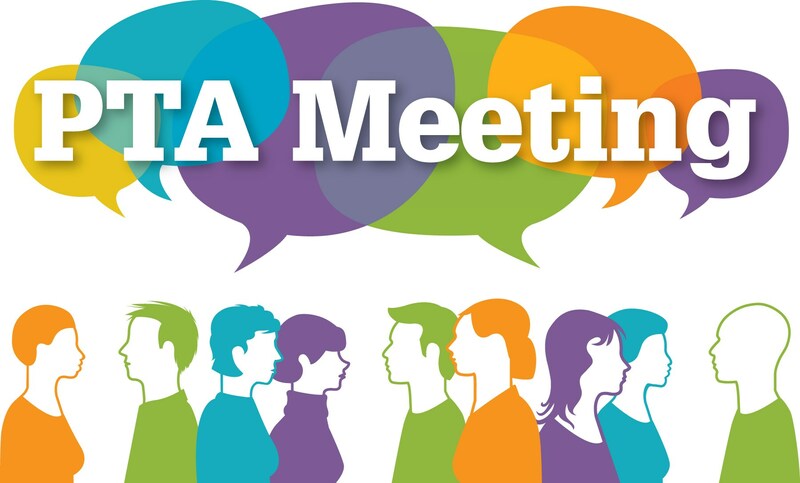 If you know of any businesses/groups that would like to host an active area/booth, please contact Michelle Comsudi (michelle.comsudi@austinisd.org). We hope to see you there for a fun- filled family event! Thank you so much to all the friends and families who have already visited and registered for a week or two of fun at Camp Summitt! If you’ve noticed any additions, revisions, or tweaks, our sincerest apologies. As this is our first, of what we hope will be many seasons of Camp Summitt, we ask your pardon. The website is now current and will not be changing again. We are looking forward to a full house and encourage you to spread the word to all of our Summitt families. We’d love for your students to be a part of the first ever Camp Summitt! Camp will be divided into two 1 week sessions from 9am to 3pm with extended hours available if needed. Proceeds from Summitt Summer Camp are used to fund school-wide needs such as technology, classroom materials and professional development. Click here for details. Please note that parents are not allowed on campus during STAAR testing due to confidentiality and security. Please schedule lunch with your student on another day. The library will also be closed these days. This is for all grade levels due to testing groups in rooms throughout the campus. Friday April 12th at 6:00 pm, Summitt will be hosting their 3rd Multicultural Night to celebrate the diverse cultures of Summitt. As of right now, we have 12 different countries and heritages being represented, but we would love to have more! It’s not too late to sign up! This event is FREE for the entire family. We will have a mariachi band, some Polynesian dancing, and our very own Taiko team and Lion Dance team performing for the event. There will also be a variety of cultural dishes to sample and fabulous entertainment to watch. Please click on the link if you are interested in participating! Please click on the link if you are interested in participating! Yes, we STILL need your postcards to reach our goal. The Summitt PTA included two postcards in your student’s Monday folder. These postcards are for you to write your legislators in the Texas House and the Texas Senate. You can find your legislators here. Please include your name and address so they know you are a constituent. If you need additional postcards, you can print them yourself here. Postcards can be sent back to school in your student’s folder or can be delivered to the box in the Great Hall. For more info email Heather Roell Oshman at summittvp2@gmail.com. Mark Your Calendars for Spring Fling! Spring Fling will be on Saturday, May 4. Spring Fling is an adult-only silent auction fundraiser made up of donations from local area businesses. All proceeds from the event go directly back to Summitt to enrich and enhance all students’ learning experiences at our wonderful school. Parents, neighbors, businesses and community groups are invited to participate – whether it be by donating an item, volunteering your time or by attending Spring Fling. To learn more, check out the Spring Fling page or email springflingdonations@gmail.com. Enroll NOW (scroll to the bottom for returning). It is quick and easy. AND helps Summitt prepare accurately for the upcoming school year to minimize having to shift kids and teachers at the last minute. Thanks! Family Survey – squeak in. It is still open. This section features volunteer opportunities. Check here each week to see what’s needed. That way, if you “got the time,” you can find the perfect option. Still looking for help! The front office needs help answering phones and opening the front door on Fridays from 8-9:30 am (approx.). Please talk to Shana (shana.pokorny@austinisd.org). If you have anywhere from 15 minutes to one hour, please stop by the teacher workroom to see if there is any photocopying, cutting, laminating, etc., that the teachers need done. Contact Karen Reyna (noni0806@gmail.com) with questions. Austin Sunshine Camps has provided free fun-filled overnight summer camp programs for the children of the greater Austin area (Travis, Williamson, Caldwell, Hays and Bastrop counties) since 1928. All summer camp programs are provided free of charge for all campers who meet the 2018-2019 free or reduced school meals income eligibility guidelines. Each camp session brings campers together for five days and four nights of exciting outdoor activities including canoeing, hiking, swimming, science, nature, cooking, arts & crafts, ropes course, and team building activities. Transportation to camp is available on the first day only. However, transportation is limited and is on a first come, first serve basis. In addition, campers are provided three meals and two snacks a day.